Another thing about Sinclair getting in the Starfury and heading out himself is that – as Garibaldi later points out – Sinclair is not entirely psychologically healthy when it comes to his self-destructive tendencies. Which relates to the great Sinclair-Sheridan debate (and I’d be very happy, by the way, if you continue developing your thoughts on that in future episodes). Personally, I tend to think of them as almost the same character. But, beyond that, I feel that if I separate actor from character, and just concentrate on how the character is written, it’s a tremendous shame that we weren’t able to follow the development of Jeffrey Sinclair over the whole story. Sinclair is a significantly more complex character than Sheridan, and there are multiple facets to his portrayal in season one that were presumably planted to be returned to later. This is one. His death wish is fascinating to think about in the context of Z’ha’dum (a story element which, from the presentation of Catherine Sakai, I think must have entered the picture early on). The need to put Sheridan in the right place in the plot swiftly strips his character down to the essentials. To my mind, at least, he’s easily the least complex figure among the main characters. OMG, Chip, you sent me to nerdvana with your “Soul Hunter/Code Monkey” song!!! I already really liked the podcast, but you just made it must-listen for me! I really enjoyed your song as well! Also, thanks for pointing out that Sheppard was on Doctor Who. I didn’t recognize him as the soul hunter. And will now always hear his weird little chant as “pork burritos”. My thoughts exactly, django. We’ll get to a conversation in a few episodes that I didn’t want to spoil in our first half and didn’t circle around to in the second half that starts the viewers REALLY wondering the answer to that exact question. Looking forward to that discussion. Sounds like an interesting question. Is there a way to contact anybody associated with this podcast other than e-mail? I just wanted to point out a website that will tell them how to get their podcast listed in the Windows Phone store. Search for “How to Get Your Podcast Listed in the Windows Phone 8 Store”. Otherwise, I need to find out the correct RSS feed URL to use to add it to the PODCASTS! app. Both B5 fans in this household got a solid laugh from the Soul Hunter song. Bravo, Chip. Bra. Vo. so my son and I have noticed that Sinclair is #notgoodatdelegation. Your characterization of “hands-on approach” is kinder, but I am still coming at Sinclair with fresh eyes and don’t know how Awesome he will be. 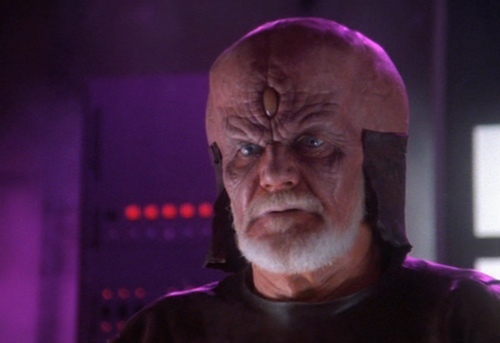 While I like your explanations (first contact protocol), I personally think someone put in charge of Babylon 5 is going to have to be at least a bit more political savvy and better at delegating. And Garibaldi should be doing security. Because his security guards need more training! 🙂 We liked thinking about soul hunters…are they saving them? are they acting morally if the host doesn’t want their soul “saved”? Plenty to think about, and an ambitious topic this early in the show. I wonder how it would have been received at a later point in the story when the storytellers had hit their stride.